PSA History: It's 10 p.m. Do You Know Where Your Children Are? Pondering the power of the public service announcement, including one PSA in particular that has maintained an unusual cult following. Thanks to my pal Matthew Keys for the idea here—it’s a good one! Keep Us Moving! Tedium takes a lot of time to work on and snark wise about. 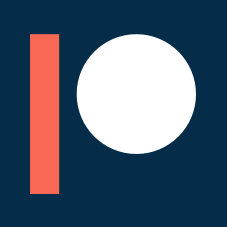 If you want to help us out, we have a Patreon page where you can donate. Keep the issues coming! We accept advertising, too! Check out this page to learn more. “Do you know where your children are?” is not an optimistic slogan. It’s a warning. There’s a certain degree of dread hiding behind the simple, evocative message—not to suggest the worst is actually happening, but that it’s out there. The actual history behind the phrase is hazy. The earliest reference I can find related to its use is January 1967, when a Baltimore newspaper referenced a local station using the phrase in reference to the 11 p.m. hour. Another early claimant to the phrase is Buffalo’s WKBW-TV, whose iconic anchor Irv Weinstein was long associated with using the phrase. But perhaps the most common association with the local TV meme is via WNEW, which more than any other station, made it their own. According to a 1985 New York Daily News article, the slogan came into use out of concern for the city’s minority communities, according to Charlotte Morris, who served as the network’s public affairs director. Morris dated the slogan to around 1968, as a part of the station’s “Focus” public affairs segments, when a concerned citizen in Brooklyn, Mildred Coleman, expressed concerns about children who were frequently out after hours. The slogan came out of that basic idea, but there is some general cultural context that should be brought into play here. During the summer of 1967, a series of riots took place in major cities, the product of major tensions around civil rights, unemployment, and police brutality that simmered during the era. The simmering came to a boil during that summer, which became known as the “long, hot summer of 1967.” Urban locales—such as Detroit, and especially nearby Newark, New Jersey, a city within shouting distance of WNEW—faced widespread riots. And those riots only picked up steam in 1968, after the assassination of Dr. Martin Luther King, Jr. stoked social unrest in many major cities throughout the U.S. New York was one of many cities that dealt with the impact of MLK’s death that year. The first was a Puerto Rican mother who said she lived in Brooklyn, had five children, gave their ages, said she always knew where they were and asked: ‘Do you know where your children are tonight?’ The cameras panned next to each of the other two women, who said basically the same thing. The segment was an instant hit, and we got tons of mail. So where did the actual phrase come from—and why did it get associated with 10 p.m. specifically? The credit for that, according to Mental Floss, is a result of some canny branding on the part of both the station manger, Mel Epstein, and its lead anchor, Tom Gregory, who came to use the phrase at the top of the station’s ‌Faces and Places in the News. Eventually, the phrase merged into the station’s own branding—as WNEW, known today as WNYW, came to call its newscast The 10 O’Clock News. We can only assume WNYW came up with it, but they came to own it. And considering the market was New York City, cultural capital of the United States some of the celebrities were surprisingly hip. Andy Warhol! Grace Jones! And perhaps the best signifier that the slogan had turned from mere warning to popular meme? The 1985 Daily News piece stated that Channel 5 had just held a party at then-relevant Studio 54 that intended to bring together as many of those celebrities as possible. And WNYW wasn’t alone—newscasts in cities around the country used the slogan. Beyond the cities I’ve already mentioned, I’ve found evidence the slogan (or variants of it, given the different starts to newscast times) made it to Detroit, to Des Moines, to Miami, to Albuquerque. The phrase is perhaps less prominent today than it once was, and not because parents know where their children are. But given the right time and the right context, it still packs a punch. “Friends don’t let friends drive drunk.” The campaign, created by the Ad Council in 1983, launched with a particularly effective style of ad—the clinking of glasses of wine, beer, and liquor, except the glasses smashed into one another, much like one car might drive into another. The Ad Council notes alcohol-related fatalities fell significantly in the years after the slogan became popular. “The more you know.” NBC had built a series of general-interest PSA segments in the past, but starting in 1989, the campaign had found the perfect slogan. The pro-education campaign was launched with the face of Tom Brokaw, who set the direction for 30 years of ads by raising concerns about the struggles facing public education. The slogan—widely parodied in the years since—may get mocked, but it was nonetheless a massive success. It won a Peabody Award in 1992. “Take a bite out of crime.” Another one of the Ad Council’s greatest hits, McGruff the Crime Dog, who first appeared in 1980, has a fairly malleable anti-crime slogan that has been used to encourage safety, fight against drugs, discourage bullying, and point out that you should call the cops when fake movers show up at your neighbor’s house. The campaign benefited from $100 million in free air time, which ensured the message would spread far and wide. “You could learn a lot from a dummy.” Anthropomorphizing crash test dummies and giving them well-known voices turned out to be a pretty inspired ad series throughout the 1980s. Working with (again) the Ad Council, the U.S. Department of Transportation helped bring to life both a clever ad concept, helped by voices Lorenzo Music and Jack Burns, and an enduring message that lives on to this day. 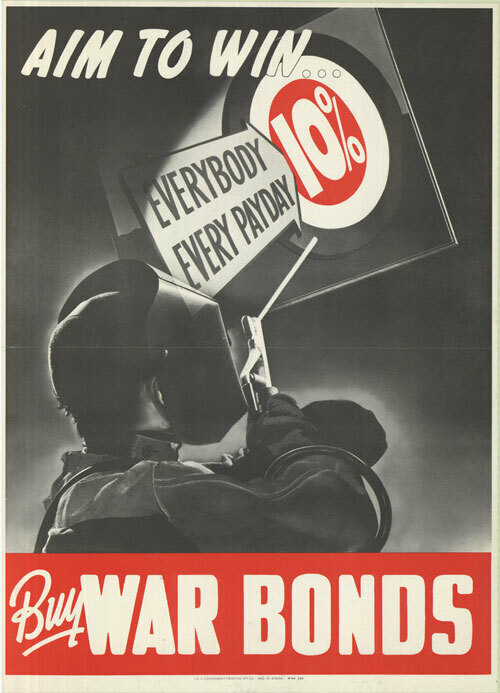 The Ad Council first sold the public—successfully—on war bonds. It seems surprising to associate such generally helpful phrasing as “friends don’t let friends drive drunk” with the sloganeering of World War II propaganda such as “loose lips sink ships,” but that’s literally how the Ad Council got its start. The organization was founded in 1941 as the War Advertising Council, a campaign to help the federal government sell War Bonds. The idea, basically, was this: Not every ad is going to get sold—and inevitably, there will be inventory left over that can be used for other things. And there are only so many house ads that one can run in a newspaper or in a 30-minute radio or television block. Given the pressures facing the United States during the war effort, the ad industry saw an opportunity—and set aside $1 billion in ad space for the promotion of wartime messages. If the Ad Council’s story ended on D-Day, it would still be an interesting story to highlight—after all, a lot of war bonds got sold thanks to all those ads. But the thing that makes it interesting is that the advertising industry kept the concept around, seeing it as a way to promote not only messages that deserved more attention, but the concept of advertising in general—as a force for good. “Industry giants predicted the council could revolutionize advertising, showing it could tout not just the merits of a Lucky Strike or new Ford but also the personal responsibility inherent in smoking or driving,” Ad Age explained in 1995. And it was true, but it’s worth noting that while the Ad Council eventually became associated with promoting neutral, non-controversial messages after the war effort ended, there were times when the council became more actively associated with wartime-style propaganda during eras of peace. Some of its earliest ads reflected an odd inability to shake off its propagandist roots. 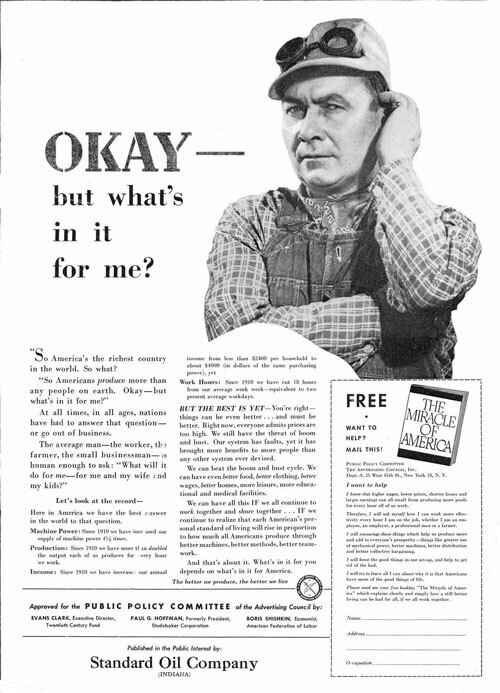 “Utterly devoid of irony, the ads come across as boosterishly simplistic today,” the libertarian magazine Reason, which otherwise expressed its general support for the Ad Council’s pro-capitalism message, said of the organization’s postwar PSAs back in 2016. 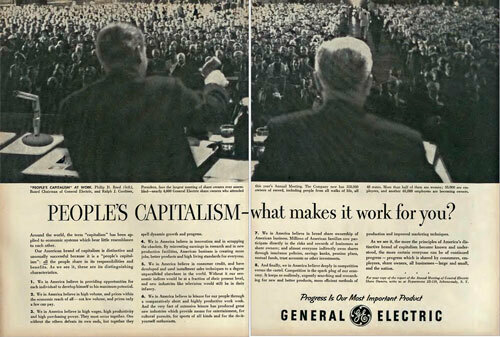 In the mid-1950s, the council’s longtime leader, Theodore Repplier, used his position to promote a concept called “people’s capitalism,” which effectively was something of a direct response to Communism, except with a strongly pro-business message. The Ad Council set up an exhibit demoing the concept at Washington, DC’s Union Station, which then-president Dwight Eisenhower is said to have attended. This is some weird territory that you might have never associated with McGruff the Crime Dog, and it highlights how close the Ad Council got to simply being a peacetime propagandist for the United States government. But it’s worth pointing out that, even if we didn’t get an Ad Council that was trying to promote American politics over all else, there’s room to take a critical eye to the more modern PSAs, which still have a direct influence on the way we see the world. Clearly, individual actions matter, and the Keep America Beautiful campaign performed a great service by heightening that awareness. But corporate actions also matter, and by ignoring industrial pollutants, Keep America Beautiful, whatever its merits, only addressed one side of the environmental issue. A cleaner America wasn’t seen as a civic duty for American business, only for its customers. The Ad Council is clearly a valuable organization, especially today, but its value proposition is weirder than you’d think. What makes something like a public service announcement or a bit of safety-minded TV branding so effective? He later used his association with both WNEW and his slogan-creation skills to reinvent himself as a branding expert, writing Brandicapped, a Who Moved My Cheese?-style book about the branding process that prominently advertised itself based on his WNEW days. I got my hands on a PDF copy of the book in hopes that he might spend half a page talking about his role in creating this iconic news-station branding. Not so much. So I’ll take a stab. Having thought about this issue a bit, my feeling is that the roots of modern public service announcements have a lot in common with propaganda. Which is not to say that the goal of these campaigns—these proto-memes, if you will—was anything other than to get you to think differently about your interactions with the world. That’s what good advertising does: It manipulates you into making a decision. That’s why the makers of Miller Lite and Coors Light were so upset when Bud Light tried to claim they used corn syrup—despite the claim being misleading. Another common slogan associated with the local news is “if it bleeds, it leads,” and one has to wonder if the proximity between the 10 p.m. warning and the bleeding lead was accidental. We live in a world where we’re trying to be influenced every hour on the hour—usually to buy something, but often to make a certain decision. Sometimes that decision is to buckle up or check in on your kids—sometimes something more subtle is at play—but we should be aware of the way that ads play with or perceptions, even when they come in public service announcement form. Not because they’re bad, but because they’re everywhere. Find this one interesting to read? Share it with a pal! Oh, and see ya next week! 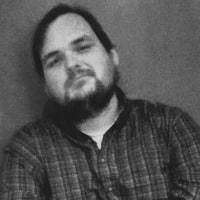 Ernie Smith is the editor of Tedium, and an active internet snarker. Between his many internet side projects, he finds time to hang out with his wife Cat, who's funnier than he is. Like this? Well, you should read more of our stuff.